What is a poker app? A poker app is simple a mobile application that allows you to play games of poker via either a downloaded app or web based app on your mobile phone, tablet or smart device. What countries can I use a poker app in? Most poker providers operate in several countries. Not all of them work all around the world. The only way to check is to try and access the site or download the app. Most apps will ask you to grant location access to your location settings so they can see if you are a country they operate in or not. Is playing poker on an app legal? Playing poker is not illegal, playing real money poker may be illegal depending on which country you live in. Check your countries gambling laws as they can differ across the globe. How do I pick a table on the app? Each poker provider will have their own way for you to choose and then access a table. Most are available to find by a lobby, then by filtering your table down by players and buy ins. Can I claim a bonus on the app? Most .poker operators will give you a free bonus or matched bonus when you join as a new customer. Please check out each of our reviews to see the bonus information available. Most of the apps we review are real money apps. Some do feature a play mode but most are only real money or real cash apps. We only review apps that are 100% safe from reputable providers. Make sure you set a good password and if playing on a public computer/phone log out. Can I use the same log in details to play on my computer? Yes you can. If you are already a member on the desktop version, you can log in using your same username and password. 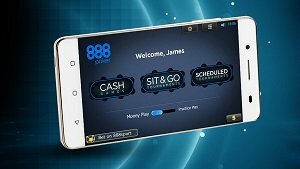 Are poker apps available in multiple languages? Most apps do support multi languages. Can I deposit & withdraw on the apps? You sure can. Just click on the banking option once logged in to the app and you can deposit and withdraw from here. How do I know the integrity of a provider? The brands and poker providers we review are all big, well known companies who treat their players with respect. If you look on each poker providers website, you can read more about their integrity promises. Can I register on the apps? Yes you can. Any of the apps will allow you to join on there by entering some basic details. Name, address, DOB, email address, player name and most of the time credit or debit card details. This is to confirm who you are and make sure you are old enough to play. Can I play on 3G, 4G or WiFi? Can I see my playing history on the poker app? Yes you can. Just sign in to your account and click on history and you can view all of your previous games. Something you want to know but not listed? Get in touch and we will be happy to help!